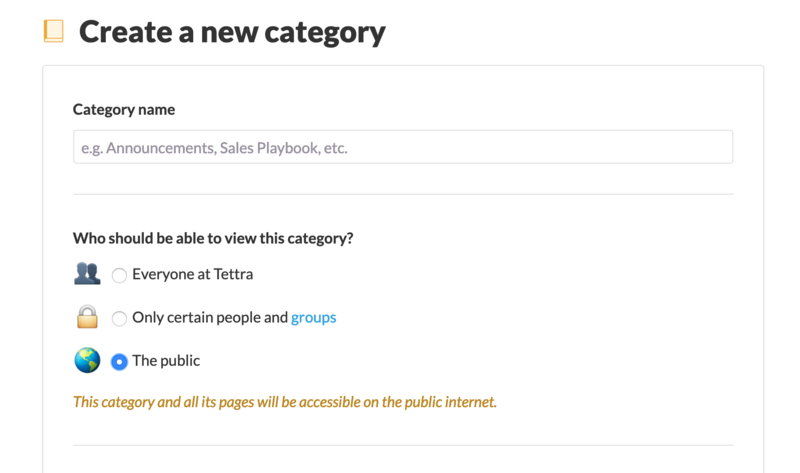 Public categories are a great way to have pages that are accessible outside of your organization. All pages in a Public Category will be public to the world wide web. Now give your category a name, and change the Who should be able to view this category? to The Public. A little message will show warning you that all pages within this category will become public. 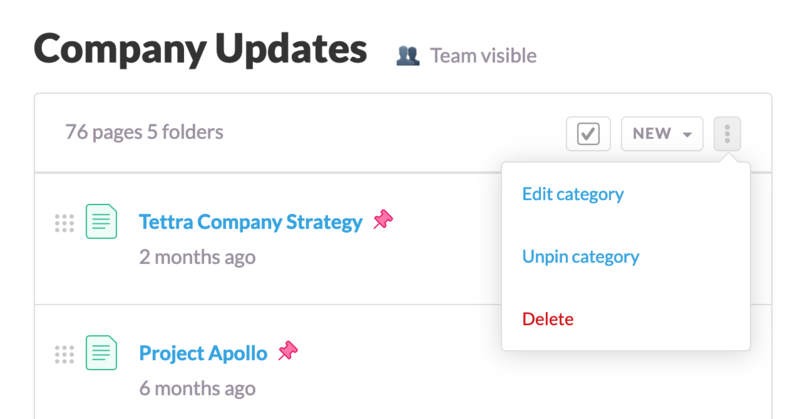 All you need to do is create a new page, within your new public category, and that page will now be public to anyone outside of your organization. 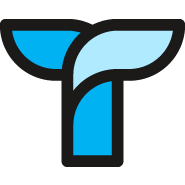 Note: There is no way to have a Public Page in a Private/Team Category. All pages in a public category will be public, and all pages in a private category will be private.